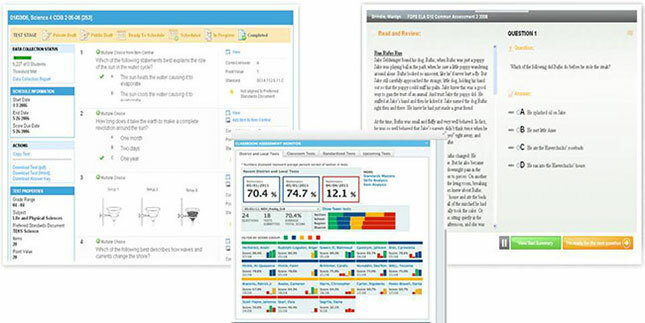 edConnect NJ provides benchmark and formative assessment tools that let districts implement a consolidated assessment program and prepare for the new assessment options aligned to the Common Core State Standards. Traditionally, it has taken too long to get assessment results back, making the data largely unusable. Not with the edConnect NJ. Educators can create, administer, and manage a variety of classroom, school, and district-wide assessment initiatives and have immediate access to actionable data to make real-time adjustments in instruction where needed. edConnect NJ provides maximum flexibility for creating and administering assessments using any combination of off-the-shelf scan forms, plain paper scan forms, or online testing. Content management tools let you upload existing assessment content from a wide range of vendors or create new items and tests, align the assessments to standards, and then manage the assessments over time to continually grow and refine content.